Bill Boozang has worked in higher education for two decades, most recently as faculty dissertation chair at Condordia-Portland's and University of New England’s Ed.D. programs, as well as directing Certificates and Corporate Outreach at the Woods College of Advancing Studies, Boston College. Having worked In a variety of administrative roles at both small and large institutions, Bill has interest in creating opportunities for affordable and accessible post-secondary education. 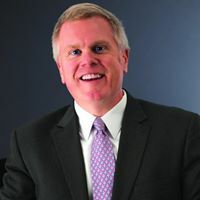 Bill also serves as President-Elect for the Association for Continuing Higher Education, as well as on the Advisory Boards for Rivier University's Division of Arts & Sciences, and SNHU's MS in Higher Education Administration. Bill consults with institutions throughout the Northeast, focusing on change management in private institutions. Boozang, W., Gonzales, R., Hogard, P., & Ratliff, T. (2017, October). Imagine I knew then what I know now!. Association for Continuing Higher Education. Portland, OR. Boozang, W., Martelli, D., Meeker, A., & Pennellatore, P. (2017, June). Navigating the sea change impacting enrollment marketing. AICU Rhode Island. Providence, RI. Boozang, W. & Masiello, D. (2016, October). Your CE unit needs an upgrade: Introducing professional masters degrees at your institution. Association for Continuing Higher Education. New Orleans, LA. Ben-Ami, L & Boozang, W. (2015, November). Two Institutions tackle online student learning and engagement. Massachusetts College Personnel Association (Virtual). Boozang, W., Burgess, V., Levy, A., & Thomas, S. (2013, November). State authorization: Pathways to compliance and the road ahead. Association for Continuing Higher Education, Lexington, KY.
Boozang, W., Diallo, J., Gwatkin, J. (2013, April). Successful state agency and university collaboration: Leveraging the assets of a large research university to meet state higher education needs. National Association of State Administrators and Supervisors of Private Schools, Sacramento, CA. Boozang, W. (2010, November). Crystal Marketing Award workshop. Association for Continuing Higher Education, Albuquerque, NM.